SAN FRANCISCO -- Facebook took its latest shot at Google's YouTube Wednesday by announcing the Facebook Embedded Video Player, a feature that will make it possible for websites to easily integrate videos posted on the social network. 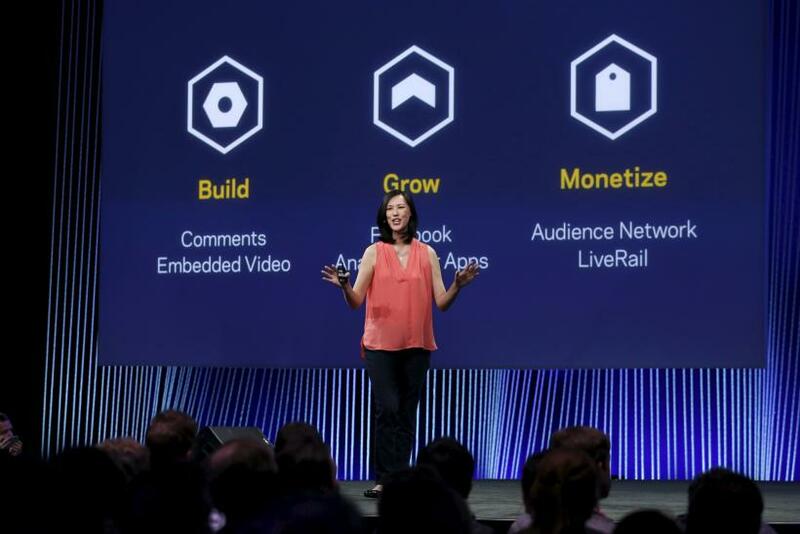 “If you’re posting video content on Facebook, this dramatically increases the potential reach of your content," said Deborah Liu, Facebook’s manager of product marketing, speaking at the company’s F8 developer conference. Over the past year, Facebook has been building up its presence in the online video market, and it's done a good job so far. Facebook now sees more than 3 billion video views per day, making it YouTube's first true rival. But taking those videos off of Facebook has been near impossible. For a while, users have been able to embed Facebook videos, but the process is much trickier than it is with YouTube, making most publishers opt to stick with Google instead. By introducing the new embed player, the tech giant is hoping more publishers will start adopting Facebook Video. “This development from Facebook is great, as it gives digital publishers and content owners additional options to reach greater audiences and monetize their content on any device,” said Michal Tsur, president and chief marketing officer of Kaltura, a video technology platform provider. The Facebook Embedded Video Player launched Wednesday and is available to everyone. The company also announced new API and analytics tools that will give content creators more control and data over the videos they publish. By working with services like Kaltura, Fullscreen, Brightcove and several others, video publishers will be able to do tasks such as schedule when a video upload, restrict who videos are shown to using filters like age or time zones, set custom thumbnails, add subtitles for various locales and much more. With the new analytics tools, publishers will also be able to track engagement metrics to better understand how their videos are doing. By adding more tools like these, the company is giving video creators more incentive to post their work on Facebook and not just YouTube, which already has these and many more tools available for publishers. “To make this ecosystem a massive success for all of us, we have a lot to build," said Fidji Simo, the product management director of Facebook Video.